The Bay Area Air Quality Management District has issued a Spare the Air alert for Wednesday. Air district officials are encouraging Bay Area residents to try to drive less, take public transportation and limit home energy use to reduce pollution levels. "Air quality is expected to be unhealthy again in the Bay Area," air district executive officer Jack Broadbent said in a statement. 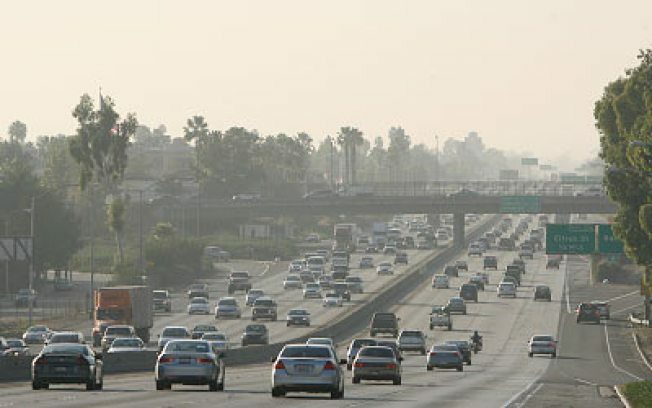 "Hot temperatures and tailpipe exhaust contribute to unhealthy smog so it is important that we all reduce our energy use every day and take precautions to protect our health." The region is expected to see high temperatures reach the upper 60s to mid 70s at the coast and upper 80s to mid 90s inland, according to the National Weather Service. Winds are predicted to be between 5 and 20 mph. There will be no free transit on Wednesday, officials said. This is the fourth Spare the Air alert for smog in 2011. For more information about the Spare the Air program, visit www.sparetheair.org.